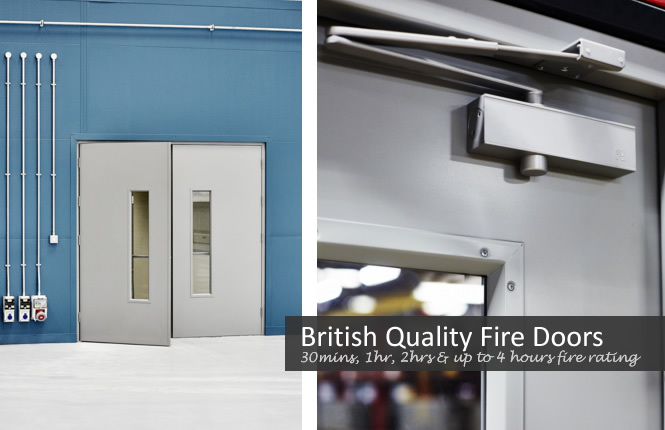 Tested and certified to 30mins, 1hr, 2hrs and up to 4 hours fire rating, our range of steel fire doors are designed to save lives. Costing UK businesses thousands of pounds every year, along with loss of goods and putting personnels life at risks, we can put an end to your concerns. Our fire rated doorsets are bespoke made to suit your door openings and are manufactured in single, leaf & a half and double leaves combination, along with certified fire hardware, glazed vision panels and louvre blocks. Please call us on 02081231088 or Get A Quote Today! A perfect replacement to timber doors & Chinese imported doors. Great security features as standard - See Our Door & Frame Specification. 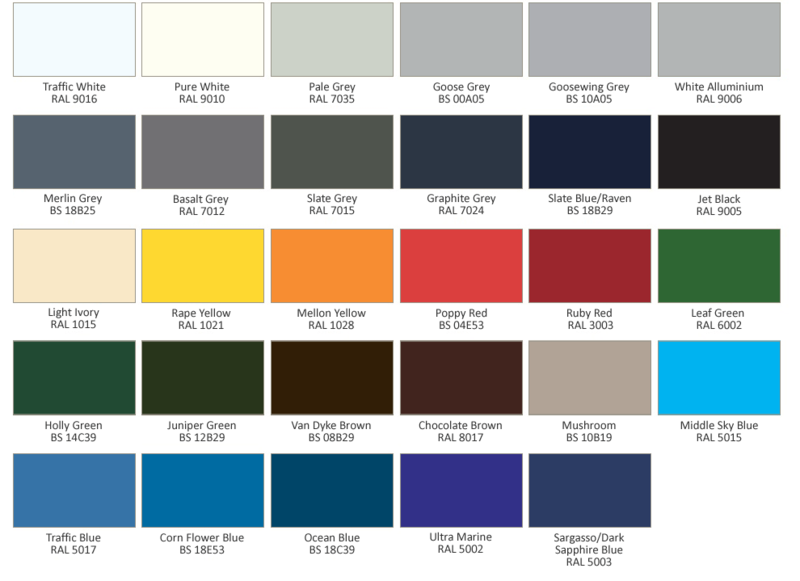 Galvanised as standard, with a wide range of powder coating colours available on request. 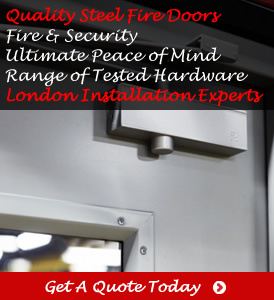 A complete range of fire tested & certified locking, hardware, glazing & louvres available. 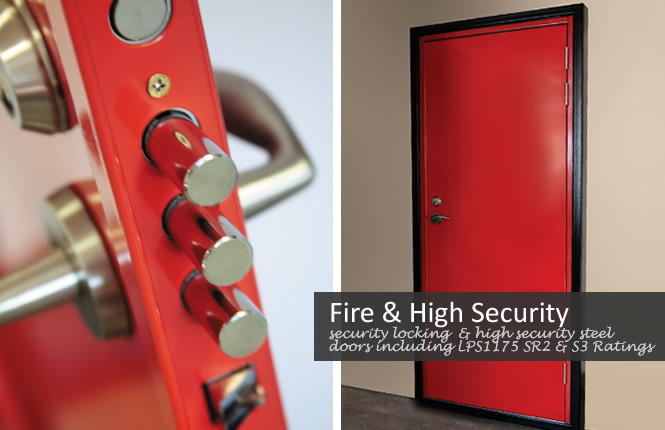 Please note the specification (steel thickness, piano hinges, threshold) on our higher security fire doors vary. For more info, please contact our office. Sashlocks, deadlocks, multilock, alongside a range of manual locks, RSG8000 fire doors is the most selling fire rated doorset within our fire rated door range. Further we provide a complete survey, supply & installation service in London, Kent and surrounding counties. Fire exit doors are not usually fire rated however in some instances such as a fire exit doorset leading to an emergency escape corridor, can have both panic hardware and requires to stop spread of fire at the same time. Speak to our team for technical info & product specification - 02081231088. 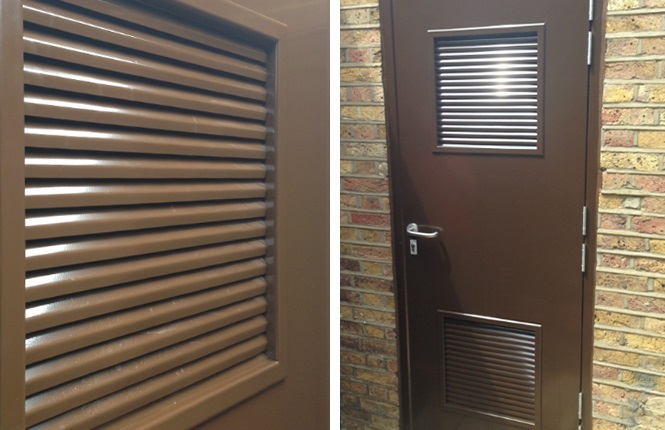 With the integration of Zeroplus fire block louvres into our range of fire doorsets, they transform solid fire doors into life saving louvred fire door units. In the event of a fire, the intumescent fire strips inside melt and block the louvre vents in order to stop the spread of smoke & flames. Our range of RSG8300 internal fire doors provide a mechanical and electronic access control solution. Extremely popular on chemical storage facilities, pharmaceutical stores inside a medical facility & commercial offices, these fire doorsets save British businesses thousands of pounds every year. 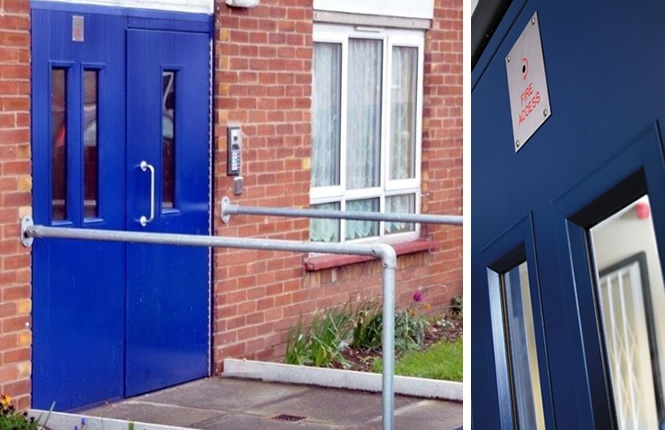 From police stations, government buildings, to chemical facilities; high security fire doors provide ultimate protection against fire, theft and attacks. 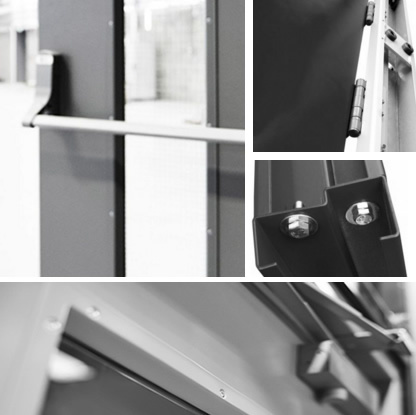 These high security doorsets are certified to the recognised Secured by Design, LPS1175 & The British Standard Security Ratings - Click to Enquire. From single to double glazing, our fire rated vision panels are available in 6mm georgian wired (FR30 single glazed), 5mm firelite (FR240 single glazed) & 12mm laminated firelite (FR240 double glazed); all available in these sizes: 152x762, 203x762, 203x203, 305x305, 355x355, 610x610, 457x457, 508x508, 203x1067, 254x1219, 254x1524. For non-standard sizes, please contact us. 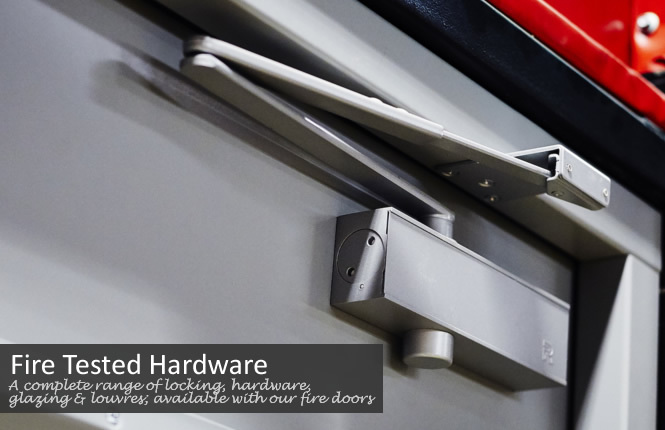 For enhanced security & functionality, our range of steel fire doorsets are available with extra features such as increase skin thickness up to 2mm, steel & glazed side/top fire-rated panels, full length of piano hinges, along a full range of hardware - our common few are spy viewers (FR30), DDA stainless steel pull handles, push & kick plates, flush bolts and finger protection strips.